‘The train leaves at four’ is a docu-fiction film of about 55 minutes. 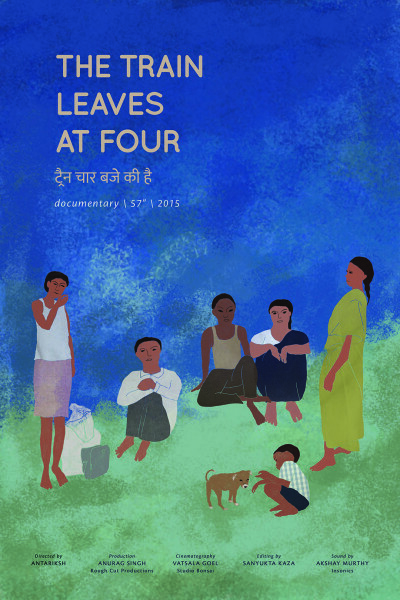 The film was shot with a family belonging to the ‘Baiga’ tribe, living in remote Madhya Pradesh, adjusting to “development” and will provide important insight into the question: YE KISKA DEVELOPMENT HO RAHA HAI AAKHIR KAAR?As Lamu packs his sack to migrate towards the city to work along with the labour contractor, his aging mother grieves in silence. Even her other two sons are not around to console her. By the evening, as Lamu waits for the train to arrive, the contractor’s condescending attitude and stinginess already makes it clear that he has signed up for a disaster, but it is too late for him to go back. Meanwhile, crestfallen and influenced by his brother, the youngest son too confronts his mother and expresses a desire to leave for the city. 21st KOLKATA INTERNATIONAL FILM FESTIVAL, KOLKATA (14th to 21st November.